Barnsley head coach Daniel Stendel confessed the decision to sell midfielder Brad Potts was out of his hands. Potts was sold to Preston on Thursday for a fee of over £1.5million as the Reds' January transfer window got off to a disappointing start. The former Blackpool man has been a key player in the Reds' impressive first half of the season and Stendel knows he will be missed at Oakwell. “It's not my decision, I like how he played and I think he is a very good football player and also a very good person,” the German coach said. “He is a loss for our team on the pitch and off it. I am very disappointed that he left the club but I can only wish him all the best at his new team. The Reds did not miss Potts too much in their first game without him as they went down to a heartbreaking 1-0 FA Cup defeat at Burnley. They looked set to earn a replay until Chris Wood struck an injury-time penalty to send the Premier League team through. Stendel was impressed with his side, who felt they performed better than their League One status suggested. “In the cup sometimes this is possible,” Stendel said. “We played good, we played better than a team who is in League One. 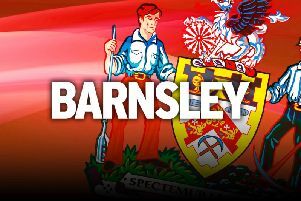 After a hectic run of fixtures over the last six weeks, which has seen Barnsley compete in two cup competitions alongside a gruelling League One calendar, the Reds can now firmly focus on getting back to the Championship. The promotion drive continues with the visit of Bradford on Saturday before games with AFC Wimbledon, Rochdale and Oxford – all teams who currently reside in the bottom seven of the division.